While medical research is still in the preliminary stages, there is good evidence that a CBD oil cancer treatment may help patients manage their pain. Scientists have found that cannabinoids can induce cancer cell death and prevent division or further spreading of cancer cells in a laboratory setting. Medical evidence aside, there is a significant amount of anecdotal evidence showing that cannabis oil has powerful therapeutic effects when it comes to managing cancer. There is no shortage of glowing testimonials from patients who are now completely cured after using cannabis oil for cancer. CBD Oil Ohio: Is It Legal Yet? Unfortunately, several states including Ohio continue to ban its use outside of a medical recommendation. Authorities in Ohio embargoed sales, stating they are compiling with Ohio medical marijuana laws that ban the use of CBD without first obtaining a medical marijuana card. Though CBD with negligible amounts of THC is now classified as hemp by the federal government, the feds have left it to the states to establish rules governing hemp, which Ohio has yet to do. Therefore, legal CBD outside of medical marijuana laws continues to be in a gray area. Further complicating the issue, the US Food and Drug Administration continues to ban CBD as an additive to food because of dietary concerns. However, if you qualify for and obtain a medical marijuana recommendation, you are eligible to legally buy medical grade CBD from cannabis dispensaries. CBD can be an effective way to treat pain, mitigate seizures, and aide cancer treatments without the high. Dr. Blatman is approved by the State of Ohio to make medical marijuana recommendations. Medical cannabis sales began at the beginning of 2019. 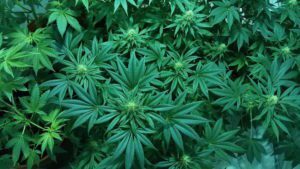 Though there have been some early supply issues, medical marijuana is legally available for sale at a number of dispensaries throughout the state. Does Cannabis Oil Have THC In It? Cannabis oil, often referred to as CBD oil, may have some psychoactive THC in it, depending on the type you buy. While the legality of CBD oil is questionable, it’s readily available in most states and online. This type of CBD oil is derived from hemp plants that do not contain THC. Instead, the plant contains non-psychoactive cannabinoids that have been shown to help with numerous conditions including pain and seizures. While many patients report considerable relief from CBD oil alone, some patients need small amounts of THC for relief. In these situations, you’ll want to look for a cannabis oil that also contains THC. Sufferers of fibromyalgia know how difficult it is to get a diagnosis and the help they need. While research into fibromyalgia has made a lot of ground over the last few years, there are still doctors that simply don’t understand the disease. In fact, some patients have reported that their doctor told them it’s all in their head! The truth is, fibromyalgia is a very real disease with very real consequences if left untreated. For more information on the integrative treatment of fibromyalgia, contact our office at 513-956-3200 to schedule your first appointment.